Fast Your Way To FASTER Fat Loss? I know I know…you’re probably thinking I’ve lost my mind. You mean to tell me that you starve yourself to try and burn more fat? Well – not exactly. Let me explain. Strategic Fasting is essentially not eating or drinking anything that contains calories for a set time period. Generally this time period is 18 to 24 hours. Now why in the world would you wanna do something stupid like that? What is even more amazing is that many of these benefits were found after as little as 24 hours of fasting! 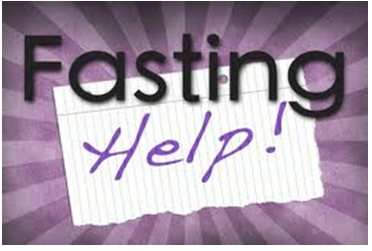 Fasting is also a killer way to break bad habits or shock your body mentally and physically. Physically, it helps drain your muscle and liver of glycogen and forces your body to use up stored calories such as fat calories and of course, carbohydrate calories. We call it “strategic” for a very good reason. Generally, you only want to do this for a short burst of time. Otherwise your body’s leptin levels will drop and your body may start shedding lean muscle to slow down the metabolism. Research shows this ONLY happens if you abuse this tactic and try overdoing it. If you stick to 18 to 24 hours at a time – no more than 1 or 2 days a week you’ll get the fat burning effect desired along with a boatload of other great benefits. We highly recommend you keep water intake extremely high and replace your normal food intake on this day with branched chain amino acids (BCAAs). 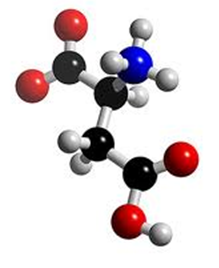 Amino acids are basically the building blocks of protein. In other words, it’s like eating protein without the calories. This is done to fuel your body with the nutrients it can use for energy rather than going after the amino acids in your muscle and essentially breaking down precious muscle tissue. At first, strategic fasting takes a lot of discipline. It is pretty hard to not eat or drink calories for 18 to 24 straight hours. Plus, it goes against everything we’ve been taught about eating 5 or 6 times a day…but I can tell you from experience that it’s worth it. Just make sure you don’t implement this technique all the time or for longer periods. The exact opposite will happen, which is a sluggish metabolism and no weight loss at all. My wife and I have been using the Strategic Fast Day for over 2 years now and we love it! It’s a powerful strategy. Don’t knock it til you try it. You’ll keep insulin super low, have more energy, get more done, give your digestive system and body a break, and burn a lot more fat. Even though it’s almost the complete opposite of what we’ve been taught about meal timing and frequency, the results and the peer reviewed published science proves its effectiveness. Strategic fasting for 24 hours is a great way to dramatically improve health and fat loss. For all the peer reviewed science and research behind fasting, we turn to THE fasting expert – Brad Pillon. If you found this article helpful, don’t forget to pass it along to your friends and family. and LOST no muscle… and we didn’t use BCAA’s and we got lean and strong….Found it to be a great way of life…What is YOUR evidence for NOT doing it most of the time?